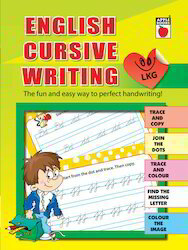 Leading Exporter of english cursive writing lkg, english cursive writing ukg book, english cursive writing level 1 book, english cursive writing level 2, english cursive writing level 3 and english cursive writing level 4 from Chennai. 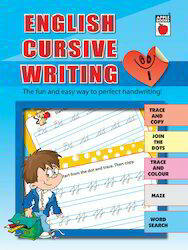 English Cursive Writing Lkg book offered is a fun and easy way to perfect handwriting and come in 56 page finish. 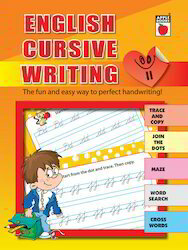 The activities include activities like trace and copy, join the dots, trace and color, find the missing letter, color the image and are part of fun reading. Being tried and tested to stimulate young minds, it gives children quality learning time as well as encourages kids to unleash their imaginations. Some of its features include smooth story build-up that makes children wonder what will happen in the end, helps children to understand different words, well designed illustrations, provide best support for early-literacy learning of children. 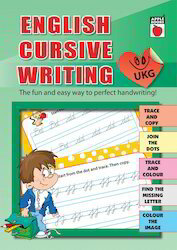 English Cursive Writing Ukg book offered is a fun and easy way to perfect handwriting and includes trace and copy, join the dots, trace and color, find the missing letter, color the image activities. 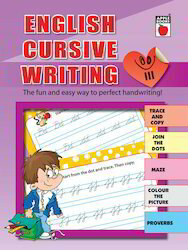 Coming in 56 page finish, the book and is a great way to work on word recognition and learning. With stories on variety of themes in full color prints, the appealing finish of the book also makes it a exciting read for younger children. Further, the simple illustrations complement this book which makes kids eager to read and learn from it. 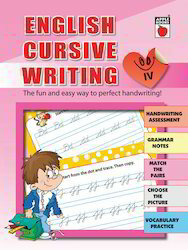 English Cursive Writing Level 1 book offered is a 56 page book that is fun and easy way to perfect handwriting. Including different activities like trace and copy, join the dots, trace and color, maze, word search; it is makes children read & learn at an easy pace as well as provides for best support for early-literacy learning of children. Allowing for an interesting read that is sure to bring a smile to your child's face, the colorful presentation of the book inviting kids to explore their imagination with huge variety in the offering that is educational without going through boring textbook style of presentation. 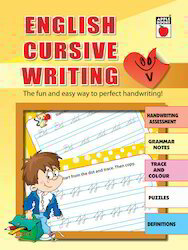 Looking for English Cursive Writing ?